I first met Lisa Hu at SAPPHIRE NOW last spring, when she introduced herself to me at the SAP Digital booth and showed me something that promptly blew me away. 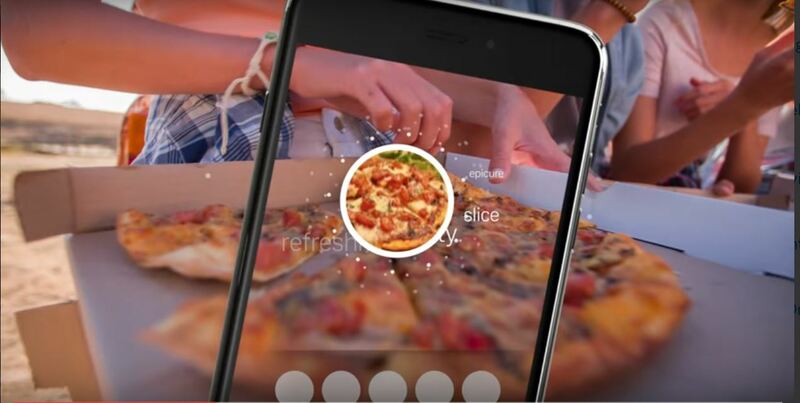 It’s called Blippar, and you too will be amazed at what it can tell you about the world around you. Lisa started her demo with a can of Coke. She blipped it using the Blippar app on her phone. Presto! I could see, right there on her phone, all sort of related words, images, and cool information about the can of Coke she was holding … the history of Coca-Cola, what the Coke is made of, how many calories, fat, and carbs – even a recipe for ham baked in Coke. It didn’t stop there. She not only blipped the Coke can, but also pointed her phone at objects all around the booth and venue. Suddenly I was discovering more content about those objects instantly. Go ahead. Download the Blippar app on your phone. Point it at any object you want to know more about. See? I told you it was cool! You’ve heard about artificial intelligence (AI), augmented reality (AR), and computer vision; now you’re experiencing its power before your very eyes. And now you too can create AR experiences yourself with the Blippbuilder Augmented Reality Suite. If you’re not a technical expert, Blippbuilder is for you; and if you’re a techie, try Blippbuilder Script for Developers, which uses Java Script. Whether you want to use the Blippbuilder Augmented Reality Suite for business applications or just have fun with it, now you can, because we’ve just made it available on SAPStore.com, our self-service online marketplace. But why? What did she picture as the potential for commercial applications? “I talked to the founders, and I thought they were using AR in the right capacity – and ultimately, had bold visions to shake up this world,” she said. “And it was clear to me that the use cases are endless. People are naturally curious about the things around them. Many of our clients are looking for opportunities to engage people, to invite them to explore and discover on their own, rather than just pushing out information. As a completely different example: one of our clients is a consultant that worked with a manufacturing training company to enrich the students’ learning experience, using our tool to show how the machine parts come together.” For creative teams, she added, the opportunities for upselling creative experiences and services are also infinite. And why SAP Store? “When I learned about SAP Store, I thought it was a great value and a nice fit given Blippar’s available self-service tools and SAP customers or end users hungry to explore AR. The buyer can find something unique, check out with PayPal, and start using it in minutes.” Plus, Lisa said, Blippar and SAP have mutual clients, and Blippar is currently exploring SAP HANA and SAP Hybris solutions – which explains why she was attending SAPPHIRE NOW in the first place. So now it’s your turn: what are you going to blipp first? Let me know in the comments box below.